Pinna Joseph: "Chanting the Chakras"
Chanting vocal sounds and seed mantras can improve your state of consciousness and assist in self-healing. At this workshop, we focus on the sounds that correspond to the chakras or body's energy centers to help you tune and express the essence of your being. Chantress, sound artist, Yoga of the Voice™ instructor, and Somatic Sounding™ co-founder Pinna Joseph facilitates your journey of transformation through sound, and introduces call-and-response chants from a variety of world cultures. PINNA JOSEPH is a chantress and sound artist. She received the Yoga of the Voice certification from Vox Mundi School of the Voice with international singer, teacher and music therapist Silvia Nakkach, author of Free Your Voice. Pinna studies with valley jazz coach and pianist Charles Lewis, and has studied with singer Susan Osborn (who teaches full expression of the voice and performed with the Paul Winter Consort), and Valley voice teacher Catherine Dockendorff. Pinna traveled to Brazil to learn chants of that culture while studying Tibetan, Hindu and Sanskrit chanting. 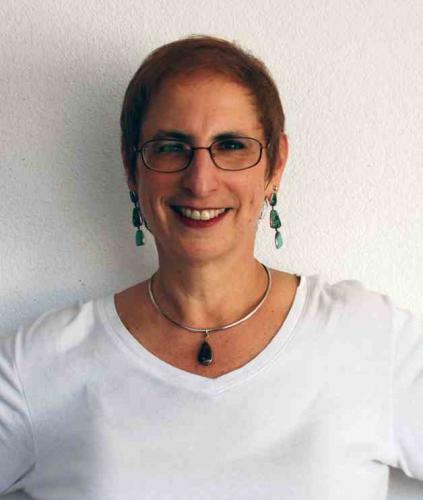 She has sung as the cantorial singer with Spirit of the Desert, a Jewish Renewal Community here in the Phoenix area, for the last 25 years. Pinna teaches classes, workshops and individual sessions in the chanting of many cultures and offers poetry and song presentations. She co-founded Somatic Sounding with Michele Dante.